New Robert DeNiro and Luc Besson Film’s First Set Image Released! 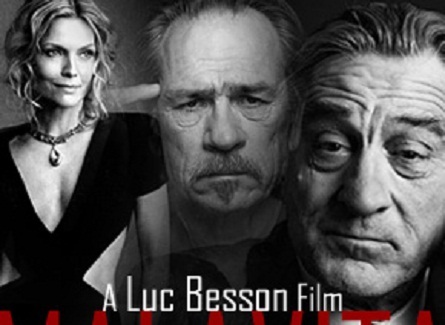 The first image released today by Relativity Media of new movie “Malavita” (working title) directed by Luc Besson and starring Robert DeNiro, Michelle Pfeiffer, Tommy Lee Jones, Dianna Agron and John D’Leo head a talented ensemble of actors in this darkly comedic action film. Malavita is the story of the Manzonis, a notorious mafia family who gets relocated to Normandy, France under the witness protection program. While they do their best to fit in, old habits die hard and they soon find themselves handling things the “family” way. 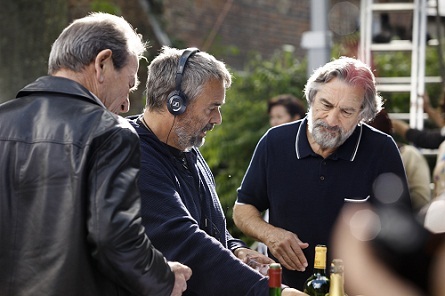 Robert DeNiro (right) with Luc Besson (center).